Wales has been left behind and the open road unfolded before us, leading to exotic lands of . 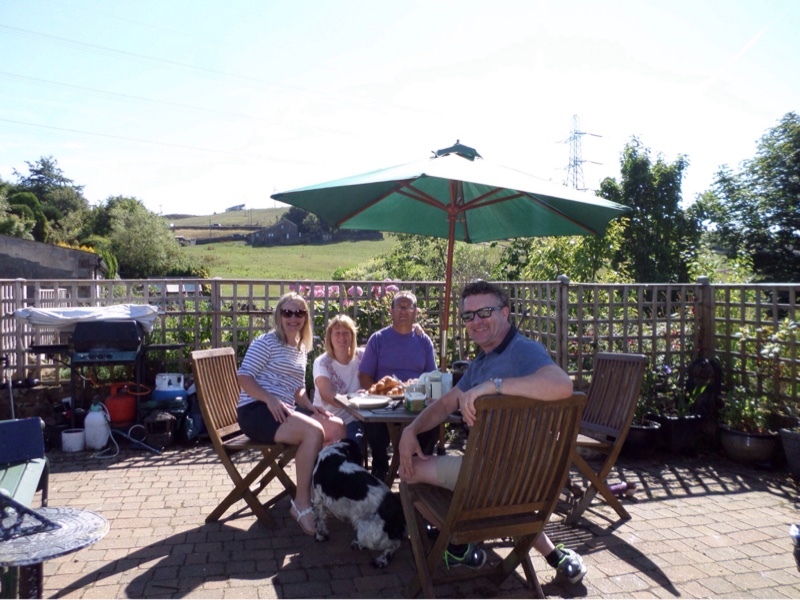 . .
First stop was S's old Uni pal Maureen (& family) in Halifax. 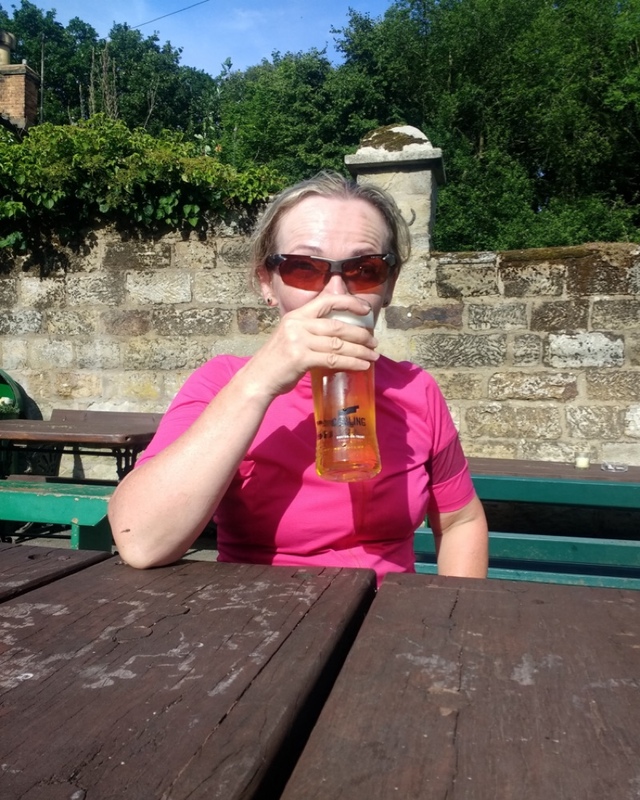 A relaxing two days when all I had to do is eat and drink beer because S and M talked without drawing breath for 48 hours solidly, doubtless a world record. The old wool market in Halifax has been refurbished, so you could mistake it for an Italian piazza. The restaraunt in the adjacent arts centre is the place to eat, with Spansih tapas on the menu and 20 craft beers on tap - what's not to like. 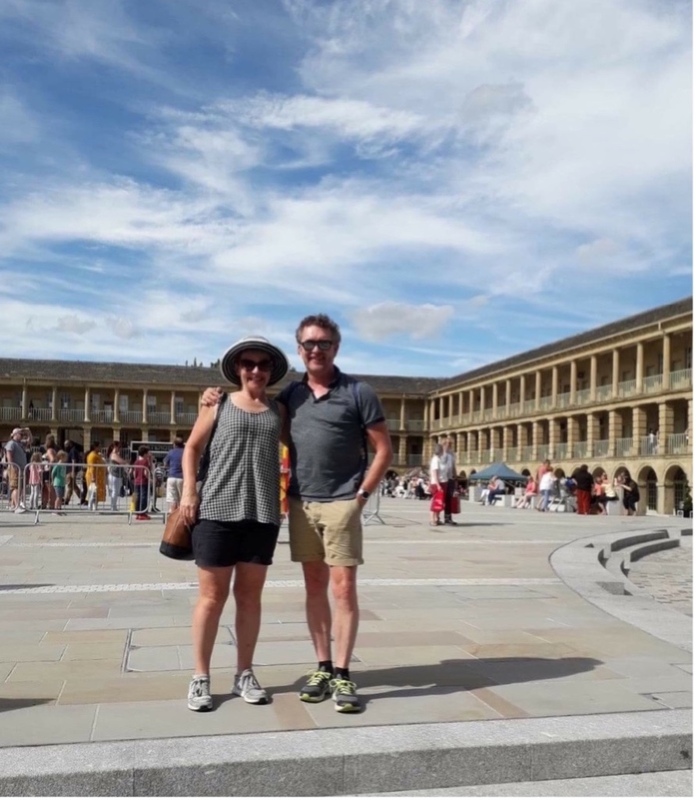 Eventually we had to hit the road again, with my new CD of 100 Rock Road Hits ringing in Ss ears, and bid farewell to our wonderful hosts, who have now been conerted to camper van advocates - we are definitely spreading the word. Onwards to . . .
You will have heard of Scarborough - a typycal northern seaside resort - but the truth of the matter is . . . I don't know . . . the campsite is just outside so we haven't been there, except to stop at Lidl to replenish the van supplies. But, it is the gateway to North Yorks and Captain Cook country. 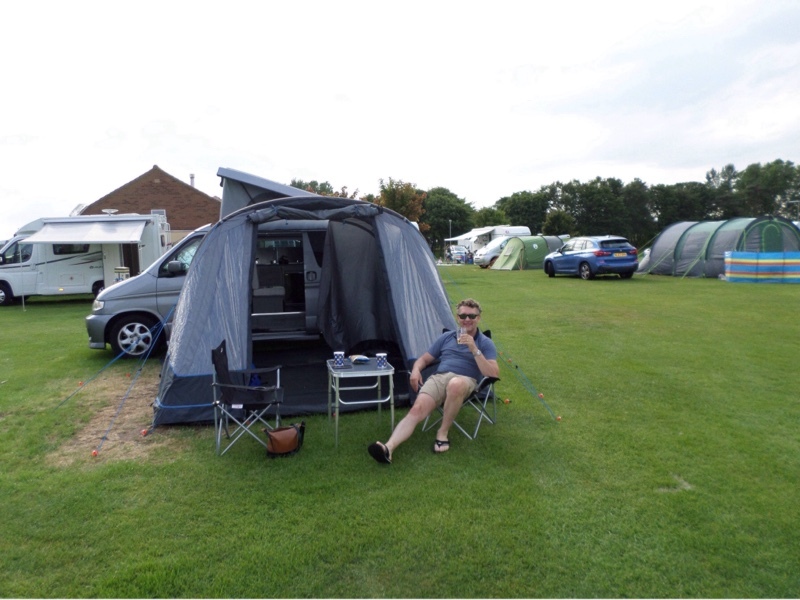 We have settled into the camper van routine, with pitching up and the awning erected in only 90 minutes. Except the bit of plastic, which I made a special detour to Go Outdoors in Stoke on Trent to buy. It doesn't keep the awning attached to the van - so when it starts hosing down with rain, as it inevitably will, we will see what happens. I think there is another 'bit' that I need - suggestions on a postcard please. 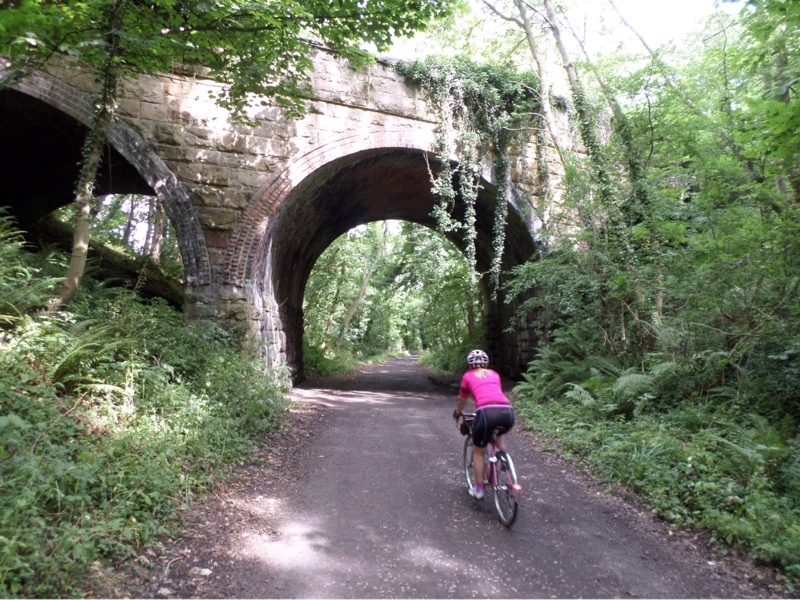 The NCN 1 runs from Scarborough to Whitby, so the clear winner for l'activite du jour was pre-determined. 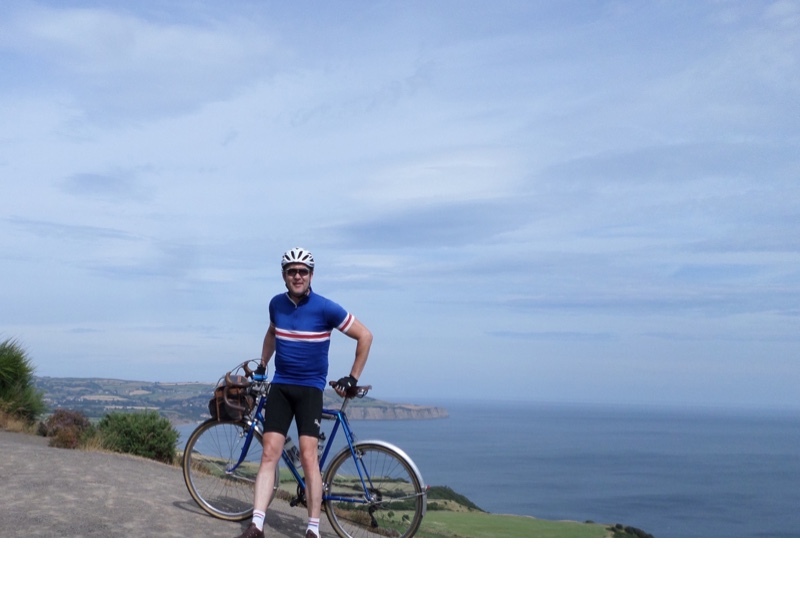 Through dappled glades and under bridges we travelled. . .
. . . past Robin Hood's Bay and the fantastic scenery . . .
S wanting to ' . . . see the beach', without reading the sign . . .
No, readers, I did tell her before she headed off, I'm not that much of a b******. 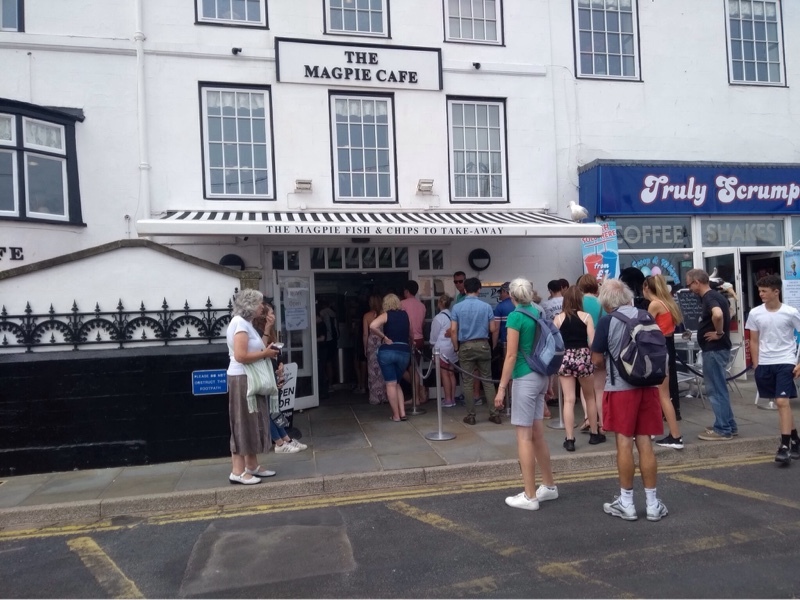 Then on to Whitby for fish and chips at the Magpie Cafe, which is apparently the plaice [sic] you have to go . . . Having worked for several summers in a fish n chip shop on the South Wales costa I reckon I know a thing or two about our favourite takeaway. The fish was just fine but I've had better chips - regular readers will remember that I have riffed upon the personal nature of chips in the past: some of us liking a crispy outer carapace but with a somewhat insubstantial inner, then some swear by a meaty but soggy chip well soused in vinegar, and then others prefer those strings of sh** they serve up in McDonalds (other crap fast food retaraunts are available). But one thing you can be sure of whenever in a seaside resort at the height of summer . . . to wait in a bloody queue . 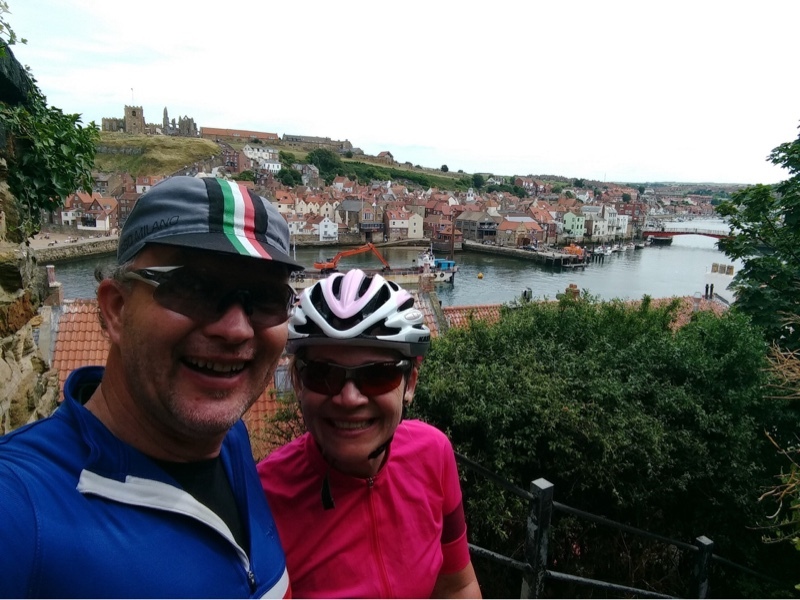 . .
Well fed, we did a quick tour of the sights of Whitby. 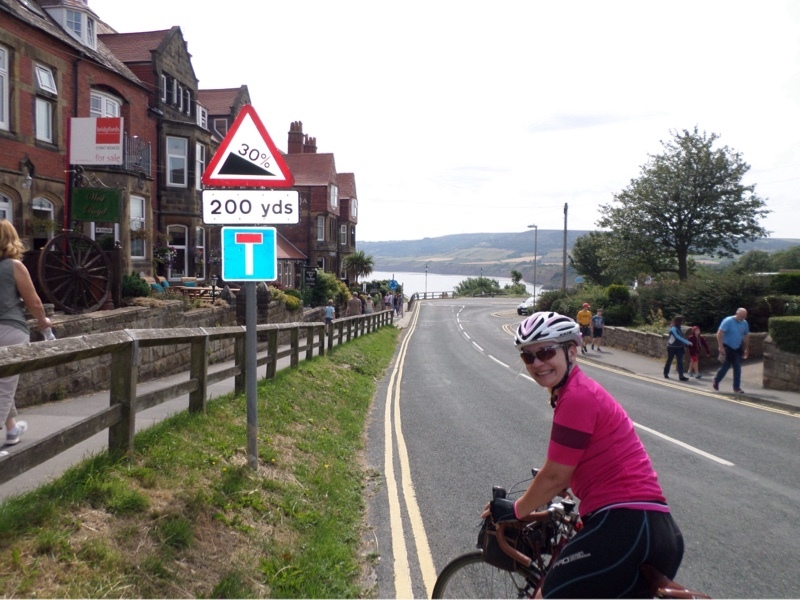 . .
H: 'I noticed that there were some very rough parts of cycle track on the downhill part from Ravenscar to Whitby'. S: 'Oh yes, there were, weren't there'. 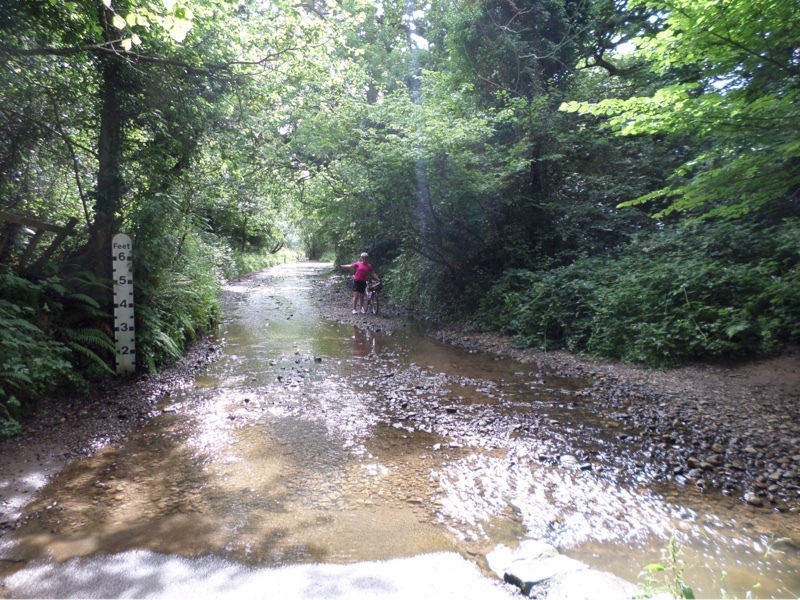 H: 'Yes, I was thinking that perhaps we could avoid them, which will now be uphill of course, by cycling on the road, thereby avoiding hills and other obstacles'. S: 'What a wonderful husband your are, we shall do as you suggest'. Yes, dear reader, cognisant of the earlier missed opportunity of a 30 % descent and climb, I conjured a replacement with added water feature - who needs Alton Towers? In recompense I bought S a pint at the next hostelry . . .